When your mantlepiece is routinely filled with cards like these, something is really not right. These are this week’s, written by Charlotte, age six, after she kicked Pete so hard in the stomach that it left him unable to move, even to stand up, for several hours. All he’d done was to tell her it was bedtime. Our children saw a lot of domestic violence in the birth family home – Joanna for nearly 3 years, Charlotte for 18 months. It’s not their fault they learned to deal with strong emotions by resorting to force. They didn’t have the opportunity to learn anything different. They had six months of play therapy in the first half of this year, whereupon the therapist decided it wasn’t helping either of them (we knew this before it started, but post-adoption support couldn’t/wouldn’t give us any other kind of therapy). Joanna is now having weekly CBT sessions, which is a definite step in the right direction, but still isn’t the intensive thrice-weekly psychiatric intervention that we and the current therapist agree she needs. Charlotte is currently not receiving any help at all, though she is ‘in the system’ awaiting an OT, having had an assessment. She has ‘attachment-related sensory-seeking’ issues, which isn’t quite an SPD diagnosis, as far as I can tell (put me right if you know better), but in practice means she chews a lot of things (toys, clothes, bedding, paper, toilet roll, blutac…), will have a meltdown if there’s a tomato or too many salad leaves on her plate, and is very wary of trying new foods. Both have caused us a number of injuries in the time they’ve been with us. In week one of placement, Joanna bit me on the tummy, drawing blood even through my jeans. More recently, during our two-week holiday, she bit Pete, pushed Charlotte into a metal grating that caused a graze up her arm, and scratched my leg with a fingernail while I was restraining her during a meltdown. Pete tends to get the brunt of it – he has been kicked while driving several times, once in the head. I mainly get scratched and bitten rather than kicked. At school, Joanna is worse. She is violent to staff there at least once a week, often two or three times. Teachers have been bitten, kicked, scratched, hit, had their hair pulled, had things thrown at them, and had drinks poured on them. Whenever the work is a tiny bit challenging (ie she doesn’t know the answer the instant she sees the question), she finds it too threatening and the fight/flight response kicks in. Charlotte, on the other hand, is fine at school. She’s behind academically, we think mainly because she’s emotionally immature and therefore not ready to learn. But she is never violent there. This is both good news (for obvious reasons) and bad news (because no-one else sees the problem and it’s therefore much harder to get help for her). So what do we do? We ask for help All The Time. I update post-adoption support every time we have a major incident, so it is all logged on our files. We have made three applications to CAMHS – one each via school, post-adoption support and the GP, all of which were turned down or didn’t even get off the starting blocks. The fourth application (via our excellent GP) has gone in this week, and the fifth is going via school at the start of term. If I need to, I will keep on going at least until we hit double figures. What’s the alternative? Living with two angry and violent children is hard. Very hard. It’s exhausting, emotionally and physically. But if we don’t continue to pester people to help them, we’ll eventually have two violent teenagers, and to be honest, I think that might well end in a disruption. We’re not quite at breaking point yet, thankfully, but I can see that it could easily happen. We love these girls, and we intend to honour our commitment to them with everything we have, but there may come a point where it is Just Not Safe for them to live here anymore. That prospect feels horrible. I feel guilty typing it out. But there it is. The right sort of help is a long time coming, though. I’m not entirely sure what it will look like when it arrives, but I’m hoping it’s going to involve the girls shouting at a therapist occasionally and getting things properly dealt with. If you’ve had, or are having, a similar experience, I’d love to hear from you. Please get in touch through the comments or on Twitter or Facebook. I’m so sad to read this. We have experienced low level violence – scratching, hitting, biting but nothing on the scale you describe and not with the strength to hurt us. Your girls are obviously remorseful afterwards, hence the notes and the fact they can’t stop themselves must be continuing to add to their guilt and shame. 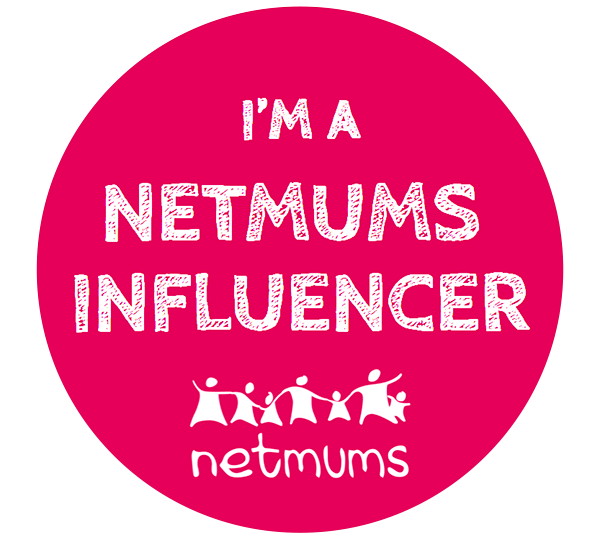 I am a ‘professional’ and a mum. I manage a parent infant psychotherapy charity and we focus on disorganised attachment so work with many families in very troubled situations but with mostly younger children (we work to age two). You ought to encourage the school to use its pupil premium for your children to pay for private ed psychology, it depends what they’re like but worth a go! They have money specifically designed for the purpose of supporting ‘disadvantaged’ pupils and should be using it. I am also mum to a seven year old and he was witness to domestic violence in my partner hitting me. When he was three, he was very violent, with many behaviours identical that you’re describing. I left the relationship when my son was 8 months old. I just wanted to share some of what worked. I have found that using Webster Stratton has been very helpful . I also learned somewhere along the way about two techniques which have been really good. One was about talking your child through how she can cope when things get to much and talking to her about safe spaces inside her brain. I tried lots of techniques to help guide my son into that safe space and he gradually came about himself to finding his way to it. In addition I learned about techniques for anger management. We do the imagine you are filling up a balloon with your breathe, this has been good for defusing fight and flight response. We also developed a ‘safe’ daydream we go on together when he’s finding it too much thinking about one thing. Ours is that we build ships, houses or other things out of sweets and think about what would make a good sofa (out of marshmallows for example. This has been good for de escalating the situation when times get heated. Modelling conflict resolution at home, and also what to do when you don’t succeed in a safe space and giving them your tools for when you’re frustrated might help. I have to say my DS has caught up on alot of the developmental delays he suffered and is much calmer now and I felt completely at my wits ends in the past. I totally get what this must be like for you both. Its also worth looking at charities providing therapy in your area, they might see you quicker than the NHS can. Read the book about ‘Love Bombing’ too. I think this was good although I have used ithe method in short spates as opposed to long boutals. Its certainly helped with building connection and attachment. I found you on Twitter. Thank you for sharing your story. I understand how hard things are. One of my daughters has SPD and the other has RAD. It’s been a long road but things have gotten better. Hang in there! Thanks, Lynn. Can I ask what kind of help you’ve had that has improved things for your family? We went through PCIT with my older daughter; however, I’m not sure how much it helped. When she got a little older, she had feelings therapy. This helped tremendously because she could identify her feelings and express them in words. The therapist also gave her coping mechanisms, such as therapy clay, sand, etc. I would highly recommend a schedule and keep it at any cost until the children feel safe and have formed a solid bond. For example, when my daughters were younger, they didn’t participate in their preschool’s Christmas concerts because it wasn’t part of their normal schedule. I’d also recommend minimizing anything out of the ordinary. For example, keep birthdays low key with only family and don’t go on vacation. We found even a day trip was hard on them. I would also recommend giving them LOTS of warning if ANYTHING changes. For example, regarding what happened with your husband and bedtime, give a 5-minute warning, then a 1-minute. Start the warning as far back and as close to the end of the event as you think is needed. We used to give our daughters a 10-second warning and then count down to zero. Do the same thing if, for example, you can’t avoid a day-trip out of town, and give them as much info ahead of time as possible. http://www.lynnsollitto.wordpress.com is my story of adopting two daughters through foster care, which may be useful for you to read. I have another http://www.bittersweetadventures.that has posts about foster adoption. I’m in the process of changing my topics on this blog but it is a slow process and I don’t plan to take down any of the old posts. Finally, please don’t hesitate to get in touch with me on Twitter or Facebook (under my name). We can exchange email addresses if you’d like to talk more in depth. It sounds like you’re doing the right things. I hope things get better! Lynn, you have such a great story to share! We have had some aggression issues from our son, but low level compared to what you are describing, but enough to be stressful at times. Over the last few months it has reduced as he has settled more with us, but also I have been very firm on not tolerating any aggression to us or others. We will give consequences now for any aggression and if he’s exhausted and beyond reason we hold him in a firm cuddle (but he’s only 3). Normally then this will turn into rocking/an embrace and I hold him and tell him how much I love him. I had looked into NVR ( Non violent resistance) workshops when I was more worried. I feel for you, its a negative spiral and you are right to push to break the spiral. I agree it’s limbic brain. I now see a tantrum as a release of negative emotion, and sometimes the trigger is relevant and sometimes it could be anything… The emotion seems to need to discharge. Don’t know if this makes sense but that is how it feels. I agree that sometimes it needs to do a full cycle before you can go up again and I agree that until the emotional discharge is complete, the reasoning/language part can’t have a place. We are clear now that the use of aggression comes at times of change so we can manage that more. I admire your honesty about an aspect of parenting that is very very tough. For some kids this phase will pass, for parents with children where its ongoing it’s rubbish that there is not proper help for a situation that is doing no one any good. We had a 3-year period of this with our DD and getting help was impossible. Thankfully she has come out of it but we had to muddle through on our own. I sincerely hope you get the support you need. I found the NSPCC support line for parents in this situation invaluable – thy listened when I wanted to cry and offered support to get us professional help. Have you tried PDA strategies for asking the girls to do something? Sometimes the use of different phrases and offering a choice can stop the negative reaction to the request. Hi, thanks for your comment. 🙂 Yes, we use those techniques often. Sometimes they help, sometimes not. Often Charlotte can’t cope with simple A or B choices and will demand C or ask me to choose and then object to my choice. I don’t know if this post on CPV (Child-Parent violence) by Sally Donovan is helpful? I’ve been having trouble with violence from my daughter for the last year and a half or so (she’s 5.5 now), kicking, hitting, biting. Headbutting if I manage to hold her securely on my lap when she’s in a rage. Its exhausting and scary at times. I’m not in the UK so no experience with dealing with CAHMS but luckily I’ve been getting help from my local child protection team who send a support worker round once a week, and helped me arrange an assessment from the child psychologist (just waiting for the feedback now, next week). I hope the child psychologist will be able to give me some better methods of dealing with the violence (right now all I can do is try and protect myself by holding her until she calms down). Hi Natshku, thanks for your comment. I’m glad you’re getting help. I can’t offer anything more than to say I am in awe of your commitment to your girls. It makes me very cross that you are not getting the support you need, and makes my parenting woes seem utterly trivial by contrast. I truly hope you get the help you need. Please keep blogging, the world needs to be aware of the ramifications of domestic violence on very young children and be willing to step up to support those trying to deal with the fallout. Thanks Pip – I really appreciate your comments. Yes we are living with this level of violence daily from our AS whose 8. Been home for 6.5 years and unfortunately violence has been an ongoing issue. I is often consumed by incredible anxiety and is like an erupting volcano when he has released his pent up feelings in a violent /destructive meltdown he is then able to disscuss whats causing his anxiety, currently his return to school and new teacher.I to fear for our future and often have a feeling of dread for all of us if this pattern continues as its becoming increasingly difficult to keep him safe in public when he is so unregulated. We are however fairly well supported by CAMHS who since he smashed my car windscreen have upped their support. I totally know how hard it is and sending you lots of thoughts. This was a really moving read. Thank goodness there are people like you out there willing to love and care for children who have clearly had a tough start in life. At our school we use the THRIVE approach when working with children. It is particualrly helpful in dealing with children who have had traumatic experiences, so it might be worth looking into? I wish you and your family all the luck in the world. It’s so very hard dealing with violence, our as been with us for 6 years and unfortunately violence has been our main issue. I feel my son suffers from extreme anxiety and is really unable to regulate his feelings and as described in another comment he has to dispel the emotions through anger and destruction before any talking can take place.. It is relentless and I to having a feeling of dread in my stomach when I think about the future. We do however receive fairly good support from CAMHS . Sending positive thoughts and strength. I’m so sorry. What an awful experience. I am sending some cyber hugs your way. Every case is different. Our situation started out very similar to yours. Yes, it got better. Yes, TF-CBT was HUGE for our children. We seem to have a lot of supports here than you have. For example, we have Intensive Outpatient Programs here (IOP) that pick our kids up a bit early from school, and keep them for 3-4 hours per day, 5 days a week, working on group therapy with coping skills and anger management. We’ve had in-home services that were great and some, not so great. The medication that helped our daughter access the TF-CBT was really the most important piece. As she’s grown we’ve hit some bumps in the road. However, we went for about 2 years without violence towards people. She recently relapsed and we are changing her meds and working on it. We use TBRI at home to work on attachment and our therapists are attachment-focused as well. My husband and I go to one therapist while the kids work with her partner. It’s helped me with my own PTSD. If I had all the answers, I’d give them. We started with a sibling group of 4. In the end, the teen boys chose not to be adopted. I don’t think anything could have helped them. Our other 2 are making progress. You’re doing a great job. You’re a great mom, I can tell by how hard you are fighting. More hugs! I’m crying reading this tonight because it resonates so much with me. We have one daughter (10) who is extremely aggressive and violent. She too has come from a DV background. We love her desperately but are struggling with her extreme behaviour, mainly aimed at me. I’m covered in marks and bruises from CPVA and struggling with self care. As soon as I get a minute for some self care our daughter ‘kicks off’ again and we have to deal with it all. I’m constantly exhausted by it all. I’m so sorry you’re in the same situation. I hope it helps a bit to know you’re not alone.